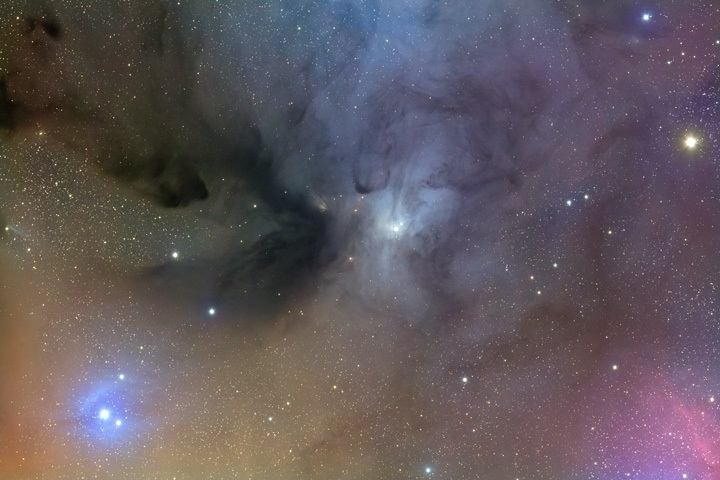 An interesting reflection nebula complex located between Antares and Rho-Ophiuchi. This nebula is quite faint and low in the southern sky and needs lots of exposure time. Copyright © 2007-2009 Takayuki Yoshida.